Assassination is the murder of a prominent person, often a political leader or a celebrity. It can be committed to further a political cause, because the assassin was offended by someone for something they did or said, or it can be a hit carried out by a professional assassin. The most famous assassins usually become known because they killed a particularly famous person, or because they killed a large amount of people. Part of being an assassin is making sure you don’t get caught, so to become one of the most famous assassins you don’t need to be one of the best. 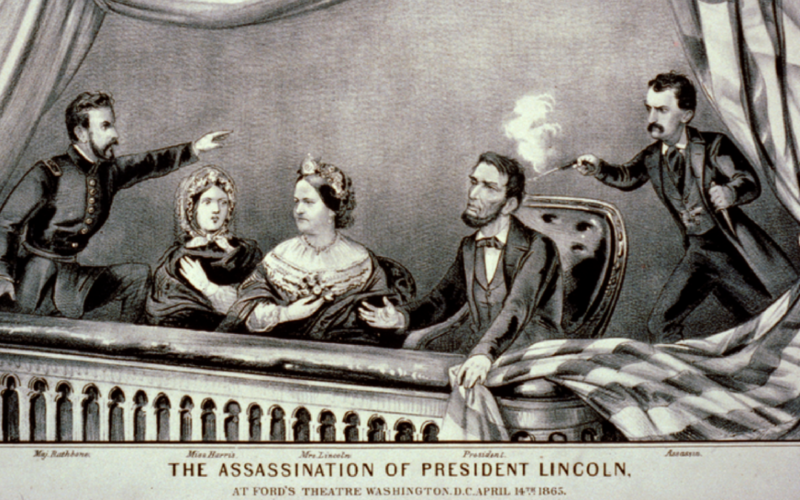 Killing Abraham Lincoln made him one of the most famous assassins of all time. 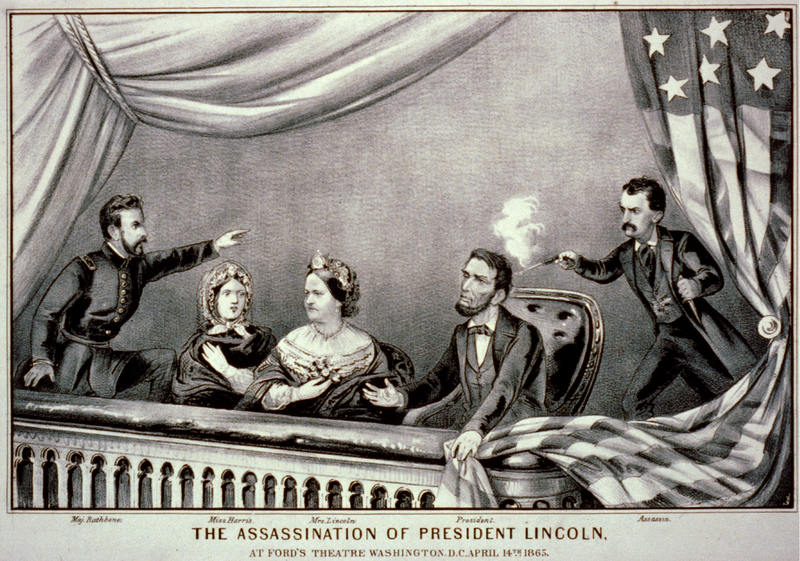 John Wilkes Booth famously assassinated President Lincoln, not long after he had won the American Civil War. Booth was a confederate sympathiser and planned to capture Lincoln, and hold him as a hostage until all the Confederate prisoners were released. Booth was a famous actor, and had even performed for Lincoln on stage two years before killing him. Lincoln was at the theatre watching a performance with his wife, when Booth snuck up behind him and shot him at close range. Booth fled the scene and wasn’t captured for 12 days. Seven Bosnian Serbs assassinated Franz Ferdinand and set off a chain of events which led to the first world war. One of the seven assassins throws a bomb at his Ferdinand’s car, but he managed to escape the blow, and came out unhurt. Ferdinand decided to try and leave through a different route than originally planned, but he failed to inform his driver about the change of plan. This meant they carried on with the usual route, once they realised their mistake they stopped the car in an attempt to turn back, but it was too late. They had stopped right in front of one of the assassins who came to kill him. 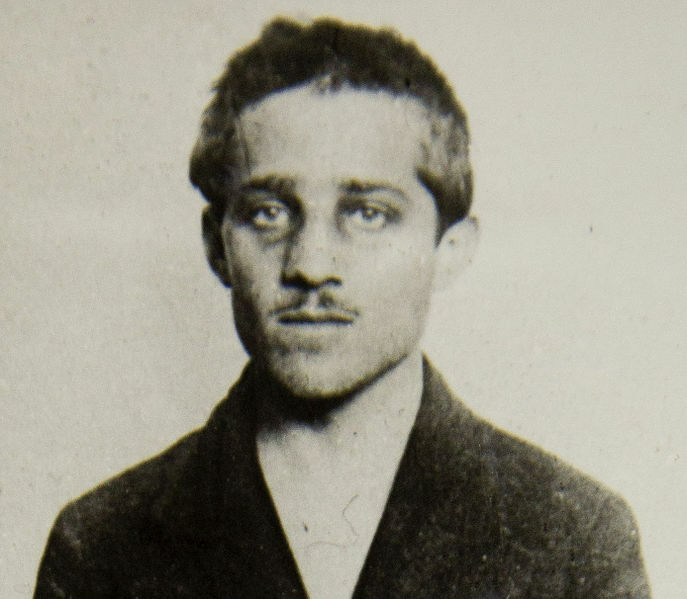 The assassin, Gavrilo Princip, pulled out his gun and shot him in the neck, solidifying his position as one of the famous assassins of all time. Oswald assassinated President John F. Kennedy at 12:30 p.m. on Friday, November 22, 1963. Kennedy was riding in car in front of crowds of people when this happened. The assassination took place 53 years ago, and remains the most recent assassination of a U.S. President. The United States House Select Committee on Assassinations concluded that it was likely the result of a conspiracy. They also confirmed that there was a high probability that two gunmen fired at the president. Oswald used a sniper rifle to complete the assassination. 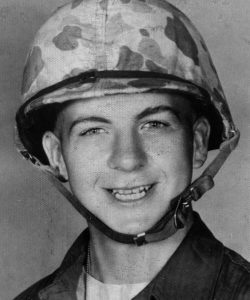 As a former U.S. Marine he was well trained to carry out an assassination. He defected to the Soviet Union in 1959, and moved to Minsk until 1962. Kuklinski famously froze his victims to make sure the time of death remained unknown. 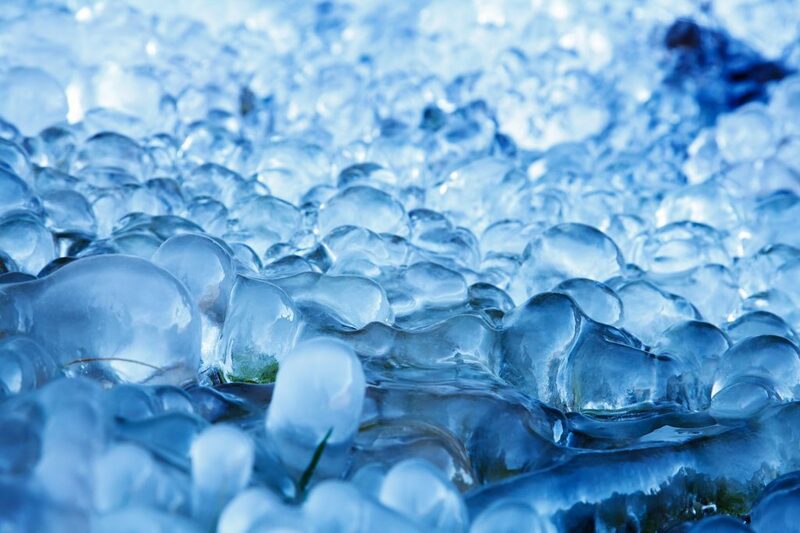 The Iceman was one of the Gambino family’s most famous assassins. He was eventually convicted for 5 murders but claims to have killed 250 people. Fellow mobsters used to call him the “the one-man army” and “the devil himself”. He had an imposing physique being 6’5” and 170 pounds. Although he was a terrifying mobster he lived happily with his wife and kids who were unaware of his life as a criminal. Police spent a long eighteen months conducting an undercover investigation until bringing him to justice in 1986. Nathuram Godse bowed to Gandhi and wished him well before shooting him dead on 30 January. 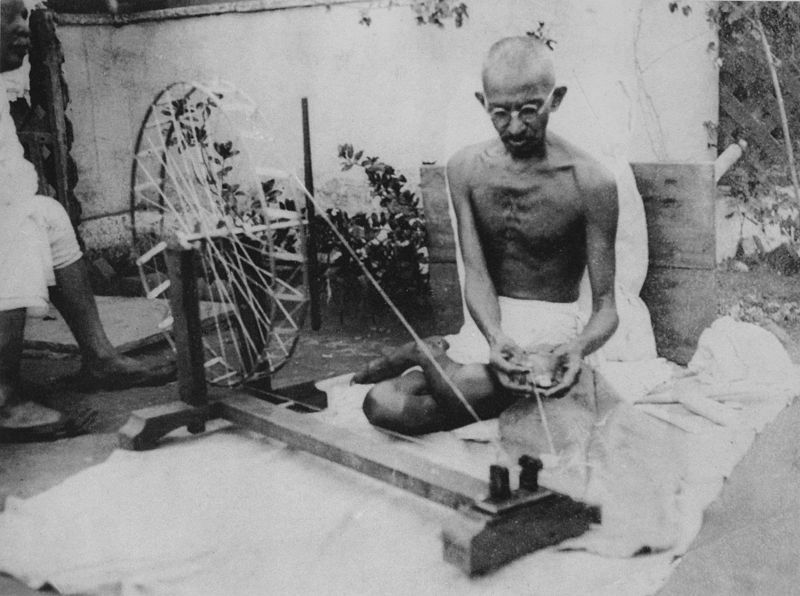 Gandhi was attempting to fix the divided in India between Hindus and Muslims, which was a tough challenge, and inevitably failed because of this assassination. Godse and the man he worked with Narayan Apte were both hanged for the murder of Gandhi. Godse was a fundamentalist Hindu and felt that Gandhi was treating Muslims with more respect then Hindus since he was teaching the Koran in Hindu temples but refused to teach Bhagavad Gita in mosques. 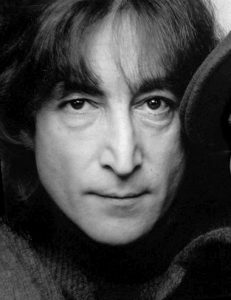 Mark David Chapman was a fan of John Lennon’s but was deeply offended by Lennon saying the Beetles were bigger than Jesus. Chapman shot him outside of The Dakota apartment building in Manhatten. After shooting Lennon instead of fleeing the scene of the crime as you would expect a murderer to do, he simply sat down and began to read The Catcher In The Rye. When the police arrived and he was asked for a statement he simply said the novel was his statement. Chapman pleaded guilty even though his lawyers wanted to mount an insanity defence, this is because he believed that he was following the will of god. Guiteau shot James A. Garfield, 20th President of the United States, on September 19, 1881. After being shot Garfield did not die quickly, he lived for a week before finally passing on. Presidents didn’t hire armed guards at this period in time, which made it much easier to assassinate them. 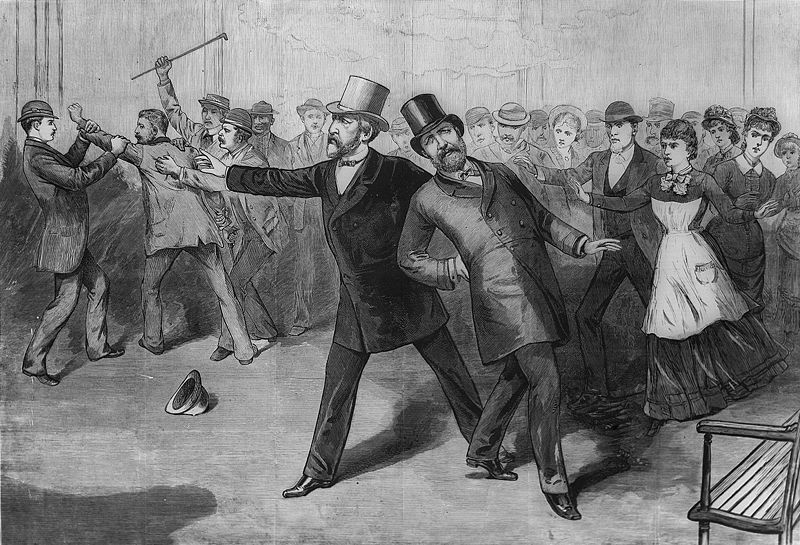 Guiteau pulled out his gun and shot the president in the back twice, at point blank range. He then attempted to leave the building and to his cab so he could escape. On his way out he was caught by policeman Patrick Kearney, who quickly arrested him after seeing what had happened. Guiteau believed that the assassination would lead to the unification of the Republican party. 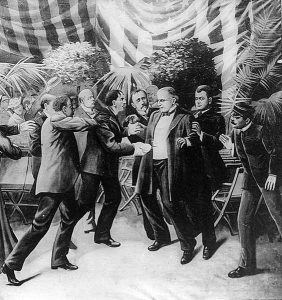 An anarchist named Leon Czolgosz shot President William Mckinley twice inside the Temple of Music. Mckinley liked talking with the general public, and didn’t want to accept the security available to him. Mckinley came to the Temple of Music even though some had expressed concerns that he might be assassinated while their. Czolgosz had become an anarchist after losing his job, and decided that Mckinley was a symbol of oppression which should be dealt with. Mckinley eventually died of gangrene on September 14. The assassin Czolgosz was executed via the electric chair. 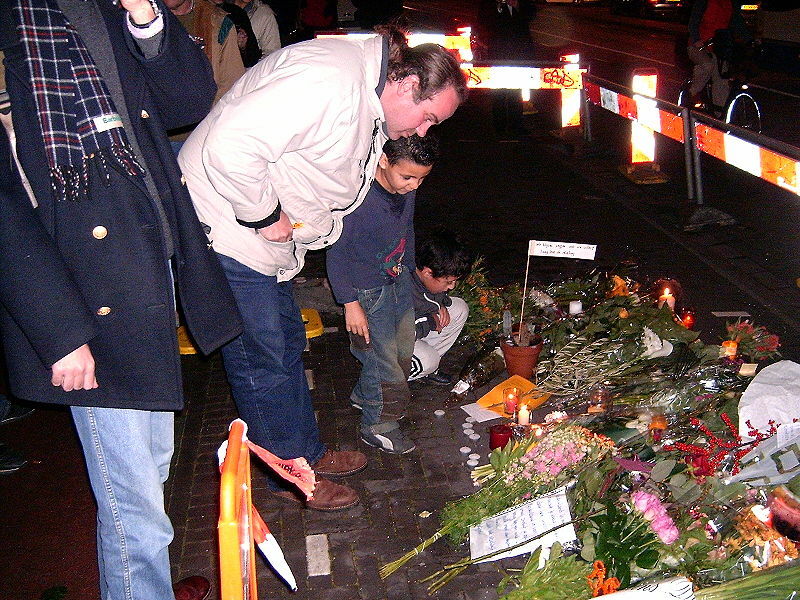 Mohammed Bouyeri brutally assassinated Theo Van Gogh for making a film which criticised Islam’s treatment of women. Bouyeri shot Gogh while he was riding his bicycle on his way to work. He shot him off his bike, and then walked up to him to deliver the finishing blows. After shooting him eight times he stabbed him twice and attempted to decapitate him. He left a note on his body with a death threat written to Ayaan Hirsi Ali who worked on the film with Gogh. Ali is an ex-Muslim, atheist, and a leading opponent of female genital mutilation. Ali went into hiding after the threat was made. Ray killed Martin Luther King in 1968 in Memphis. Ray was staying in a motel under the pseudonym Eric Starvo Galt. 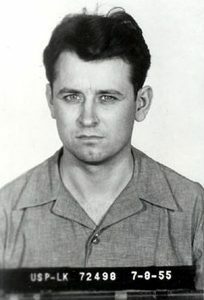 Standing in a bathtub, with his rifle pointing out of the window, Ray took a shot at King while he was standing on the balcony of his hotel room, and killed him. The FBI chased him for two months across 5 countries, in what became the FBI’s biggest and most expensive manhunt in history. Ray was caught in England and sentenced to 99 years in prison. Ray claimed for years that he didn’t act alone, and wasn’t even the one that shot Martin Luther King, a claim that’s undermined by the fact he pleaded guilty, but it was decided by a congressional committee that it’s possible he didn’t act alone.